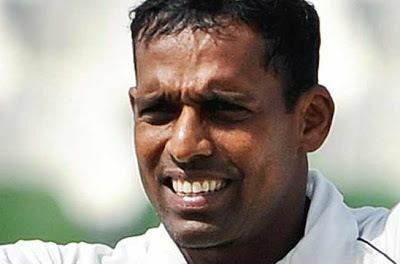 Thilan Thusara Samaraweera (born 22 September 1976 in Colombo) is a former Sri Lankan cricketer, who played Tests and ODIs. 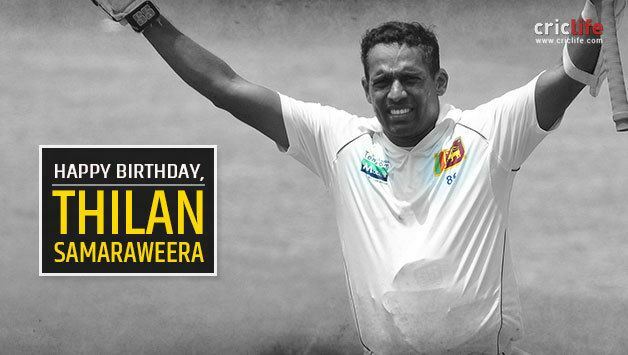 Samaraweera played international cricket for Sri Lanka as a permanent member in Test squad and is in the side primarily for his solid right-handed batting but is also a capable off spinner. Thilan Samaraweera born in Colombo and had his education at Ananda College, Colombo. He is married to Erandathie Samaraweera and has two daughters: Osuni and Sidhya. His brother, Dulip Samaraweera, also played Test cricket, appearing in seven Tests from 1993 to 1995. 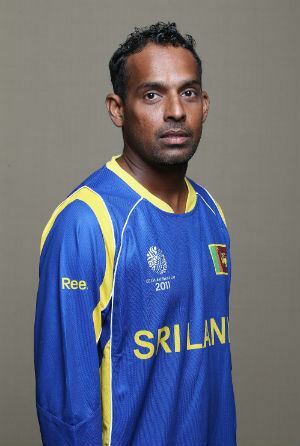 His brother-in-law Bathiya Perera has represented Sri Lanka A.
Samaraweera started his career as an off-spinner who could bat a bit and could not find a way into the side due to the emergence of Muttiah Muralitharan. He managed a handful of ODI games in 1998 but did not play Test cricket until August 2001. Having worked on his batting considerably he got due reward by scoring century on debut against a strong Indian side helping Sri Lanka to win the series 2–1. He continued to star with the bat by scoring another two centuries in his next five Tests, all on his home ground, the SSC in Colombo. This stunning start to international cricket cemented his spot in the middle order, a spot which had holes to fill with the retirements of Aravinda de Silva and Hashan Tillakaratne. His off-spin has been rarely called upon by his captain but when he comes on he has earned a reputation as a partnership breaker. After a poor Test series in England in which he failed to reach double figures in any of his four innings, he was dropped from the side. 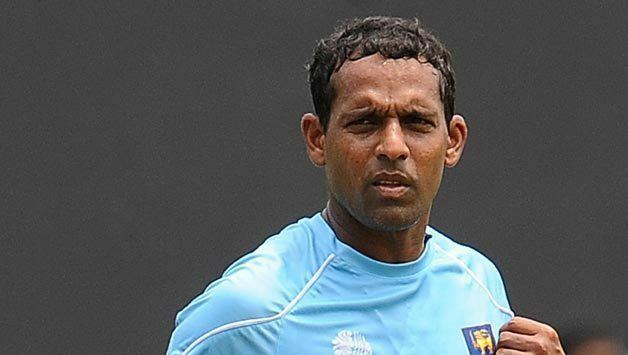 He was made captain of Sri Lanka A before earning a recall for the first Test against Australia in Brisbane. He scored 13 and 20 and was promptly dropped when Kumar Sangakkara returned to the side for the second game in Hobart. This was followed by his non-inclusion in the squad to play England in the first Test in Kandy. In February 2009, he shared a record-breaking partnership of 437 with Mahela Jayawardene. This is a world record for 4th wicket in Test cricket. The previous Test record was held by an English pair—Peter May and Colin Cowdrey—who put on 411 against West Indies at Birmingham in May 1957. The record stood for 6 years until surpassed on 11 December 2015 by two Aussies Adam Voges and Shaun Marsh with 449 for fourth wicket against West Indies. In September 2009, he got his maiden ODI century against New Zealand national cricket team at R. Premadasa Stadium, Colombo, almost eleven years after his ODI debut. In 2011, after poor form with the bat during a home series against Australia, he was dropped from Sri Lanka's team for the series against Pakistan. He was also left out of the squad to tour South Africa, but was given a late call-up to cover for Mahela Jayawardene due to a knee injury. He scored two centuries in the three-Test series, and moved into the top ten of the ICC Player Rankings for Test batsmen for the first time in his career. Samaraweera holds the record for scoring the most runs in ODI cricket with only scoring centuries without even dismissed between 50–99, he never had scores of unbeaten innings between 50–99.He has scored 2 ODI hundreds without a single ODI fifty. 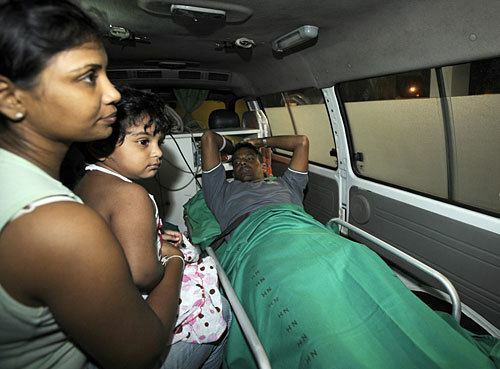 Samaraweera, along with five other Sri Lanka cricketers, were injured in the 3 March 2009 attack on the bus that carried the Sri Lanka cricketers to the Gaddafi Stadium. He was hospitalised with a thigh injury. Samaraweera was the most seriously injured player amongst them. Six policemen that guarded the bus and two civilians were killed in the attack.